Several months ago, the author was discussing BI at a conference when another attendee asked, “Can you use those two terms together—business and intelligence?” Not being one to be outdone, the author quickly answered, “You cannot have one without the other, at least if you want to be successful.” As you might imagine, that led to a long discussion of what BI is (or should be). The author continued to interject the notion that cloud computing must be at the core of BI today and that having BI that is not enabled by cloud resources is sort of like eating apple pie without vanilla ice cream: You are not getting the most out of the experience (at least, not from the author’s point of view!). 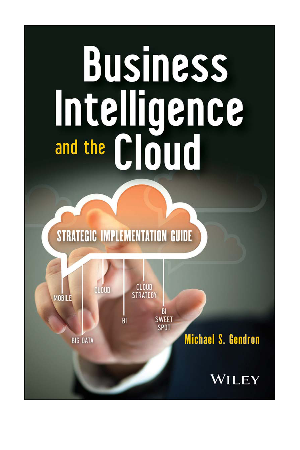 BI needs the cloud to be most successful. This piece helps explains why.